If you like shooting videos, you may have used cameras or camcorders. Some guys also bought high-end camcorders to record high quality videos, like Sony XDCAM camcorder. Sony XDCAM series camcorders are excellent camcorders used by many professional users. XDCAM is a series of products for digital recording using random access solid-state memory media. It's great to use Sony XDCAM camcorder to record videos with vivid image. If you have got a Sony camcorder and often use it to recorded beautiful landscape and important events, you will know that Sony XDCAM recorded files are in .MXF format, this format is not easy to use due to it's not compatible with so many devices and editing software. But don't worry, Pavtube has added profiles for Sony XDCAM camcorders for professional use, including XDCAM EX, XDCAM HD, and XDCAM HD422 profiles. 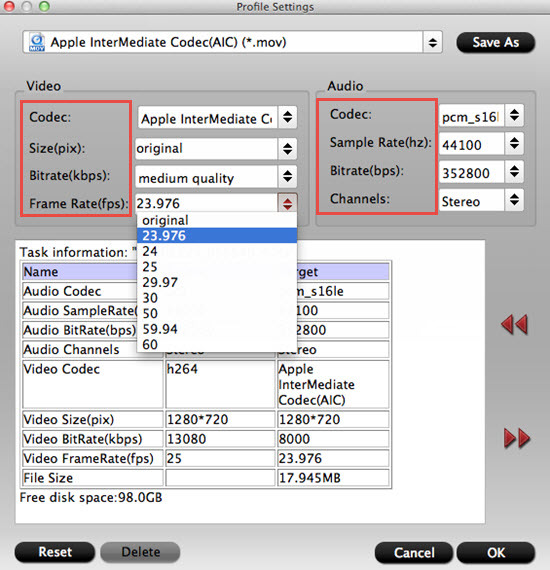 Besides these profiles, you can choose Apple InterMediate Codec (AIC) for iMovie and Apple ProRes 422 codec for FCP. Step1. Download Pavtube HD Video Converter for Mac. 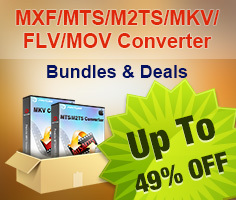 It's professional converter which can help you convert Sony XDCAM MXF/MP4 files to any formats you want, such as AIC, MOV, MKV, AVI, etc. After the installation, you can have a quick running. Then click "File">"Add Video/Audio" to load raw MXF/MP4 videos. You can also click those two icons on the main UI. Step 2.. Click format column to choose format for output. 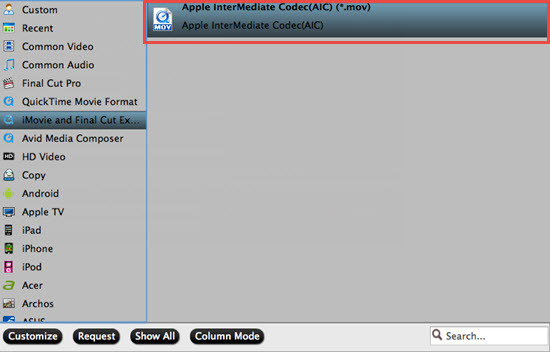 You are recommended to choose "iMovie">"Apple Intermediate Codec (*.mov)", it's best to use in iMovie on Mac. You can adjust parameters such as Bit rate, Frame rate or if you want to keep the HD quality and make the quality degradation to the least, then you can keep it as original. 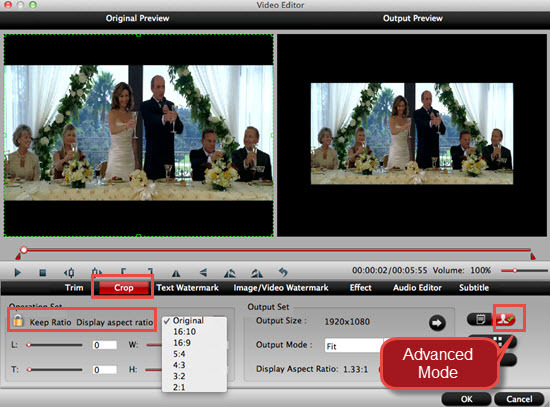 You can trim, crop, adjust effect or add watermark to the video before conversion. If you want to make your videos playback on different platforms while the aspect ratio not fit well , you can go for "Edit">"Crop">"Advanced Mode"
Step 5. Click convert button to start. Pavtube HD Video Converter for Mac can convert Sony XDCAM recorded files to iMovie with AIC codec in a fast speed, and you can import the converted videos to iMovie without rendering, video and audio synchronization are perfectly guaranteed. 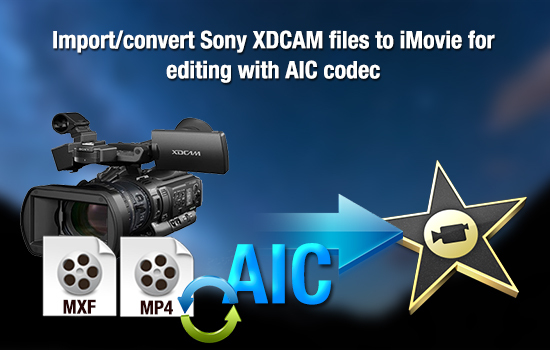 After conversion, you can import Sony XDCAM files to iMovie for editing as you want. If you want to import Sony XDCAM files to FCP for editing, you can follow the Sony XDCAM to FCP guide. For new users who just start to use iMovie, a brief loading video guide into iMovie may help them master this editing software better.